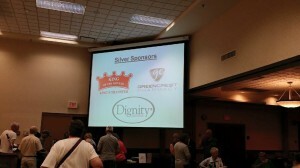 King’s Transfer Van Lines was pleased to take part in the Age and Opportunity 55+ Housing & Active Lifestyles Expo, in Winnipeg, last week. 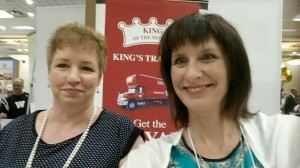 Loreen and Jill took a trip out to the show to educate attendees on the steps involved in booking a move. The show was well attended and very busy and they got to meet a lot really nice people. We know that moving can be stressful, especially when downsizing is involved, and we have the experience to make any such transition as smooth as possible. What is Age & Opportunity? Age & Opportunity: Support Services for Older Adults is a non-profit organization that provides specialized services for older Manitobans across the province. The goal of these programs is to empower and support older adults in the community. To offer specialized programs and services that are accessible to older Manitobans that support and enhance their social, emotional, physical, intellectual and spiritual lives and promote active participation in all aspects of community life. To learn more about Age & Opportunity and the programs they offer, visit their website here. We’d also like to thank them for having us out.